The history of theatre-going in Canterbury dates back to Roman times. The remains of a Roman amphitheatre still exist in the cellars of St. Margaret’s Street. Tudor theatre is recorded as having taken place in several local inns. 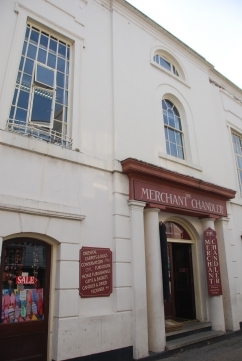 However, the City’s first true theatre impressario did not appear until the late 18th Century when Mrs Sarah Baker operated the Buttermarket House with great success. Despite being illiterate, Sarah Baker was a very successful theatre manager, running three venues in Kent. Following its demolition in 1789, Sarah Baker then opened Canterbury’s first purpose-built theatre in Orange Street in 1790. 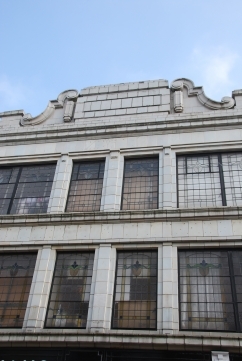 The facade of the theatre building can still be seen today. This theatre was succeeded by the Old Theatre Royal in the 1860s, designed and paid for by local artist Sydney Cooper. This was situated in Guildhalll Street and continued to operate until 1926. Charles Dickens performed a reading of David Copperfield there in November 1861. A small theatre then opened in St Margaret’s Street just before the First World War. In the 1920s, it was converted into a cinema called the Central Picture Theatre. Failing to compete with the other new cinemas. it was then turned into a theatre for use by amateur performers. 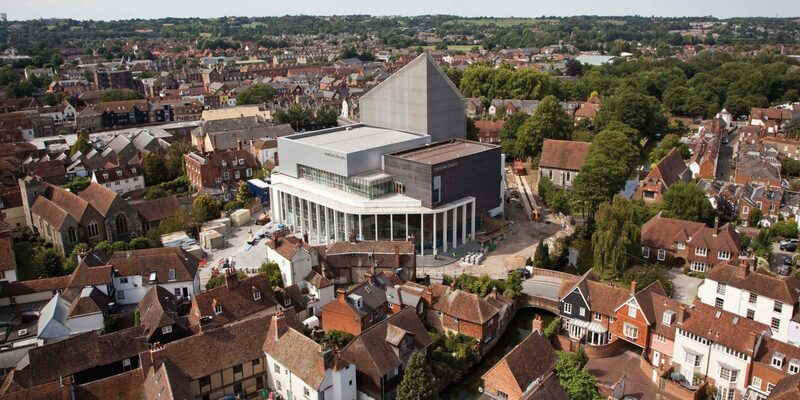 In 1949, the city council bought the building and turned it into Canterbury’s first Marlowe Theatre.